Sixth edition of Belgaum International Kite Festival 2016 was inaugurated today at the ground of Angadi Institute of Technology on Nanawadi-Savagaon Road from 16th January on behalf of Parivartan Parivar. 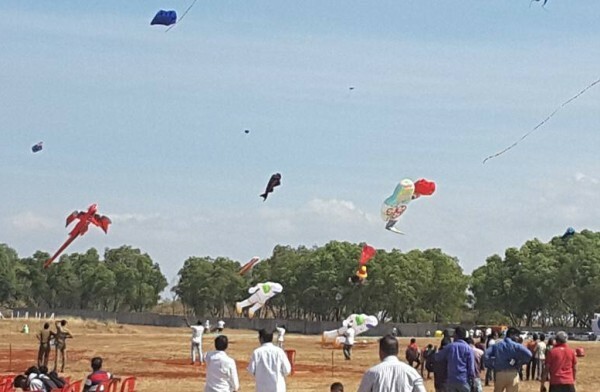 As many as 25 international kite flyers from USA, Australia, Indonesia, Malaysia, UK, Russia, Estonia, Netherland, France and Italy have already confirmed their arrival, said host of the event Abhay Patil, former MLA from Belagavi (South) constituency. Kite flyers from different cities of the country like Kochi, Ahmadabad, Vadodara, Mumbai, Nagpur, Bengaluru, Doddaballapur, Dharwad, Calcutta, Belagavi etc., will take part. Next articleSt. Joseph’s Convent High School turns 125 !